BELMOPAN, Cayo, Mon. June 13, 2016–Women in Belize continue to lead in academia, with the highest grade point averages in graduating classes of institutions ranging from preparatory school to high school to the country’s national university. 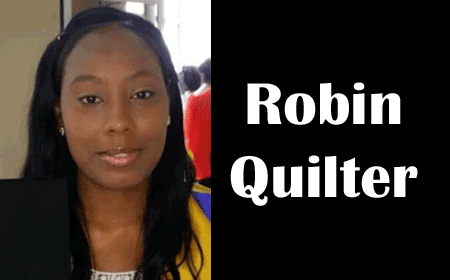 This past weekend, three women, Robin Quilter of the University of Belize, Whitley Aguilar of Ocean Academy in San Pedro, and Jorleny Umana of Living Hope Preparatory School in Belize City, were all celebrated as valedictorians for being the top achievers of their schools. Robin Quilter, despite the attention generated when a fellow UB graduate’s boyfriend proposed in front of hundreds at the graduation ceremony, still shone at the ceremony as she paraded down the hall proudly to receive her diploma for her Bachelor’s Degree in accounting and her awards, as she ranked 1st of 509 UB students with a grade point average (GPA) of 3.97. Meanwhile, Angela Sun ranked the highest among UB’s Associate degree students, earning a GPA of 3.97 and an Associate’s degree in mathematics. Quilter, 22, who is now a junior auditor at the Baker Tilly Hulse accounting firm, told Amandala that she always wanted to be an auditor. “Graduating as a top performer gave me a feeling of pride and accomplishment. Personally, excelling on a whole is very satisfying and wonderful. It is motivating,” Quilter told us. However, her success did not come without hardships: “People often say never give up, but I gave up my time and my sleep. I made several sacrifices, but my mother made bigger ones so I could seize my opportunities and that was motivating enough to stay up and stay dedicated. I learned to prioritize my studies,” she told us. It must have been the same kind of motivation that drove the success of Ocean Academy’s 2016 valedictorian: Whitley Aguilar. 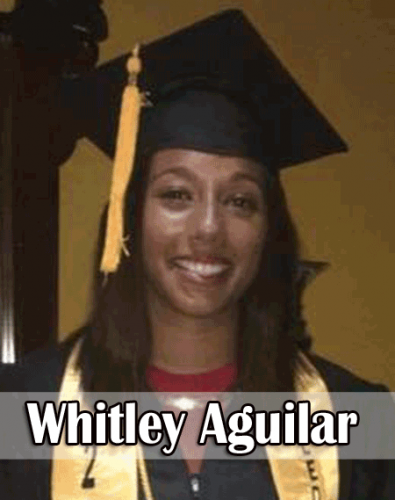 Whitley, 17, who dreams of becoming an engineer, earned a 3.44 GPA, placing her ahead of 9 other classmates. She told Amandala that when she heard the news, she was shocked because she had expected another classmate to earn the top spot. “To be honest, I was shocked. I didn’t expect it but I was happy! All the hard work I did finally paid off,” Aguilar commented. She has already begun the process of applying for a Canadian visa, which she hopes will enable her to connect with her biological mother and to further her studies there. Jorleny Umana of Living Hope Preparatory School is one of those students hoping to enter secondary school shortly. Jorleny, 16, who works part-time and enjoys a vibrant Honduran heritage, earned the top honors and a distinction in cosmetology at this year’s graduation. Jorleny was joined by Chenelson Estievern, who snatched second place overall and Laman Grant who rounded out the top three. 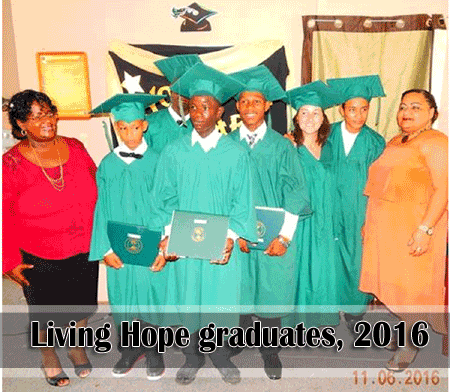 Living Hope Preparatory School was birthed after the closure of the Good Samaritan Institute, which was located on the ground floor of the now demolished Belize Civic Center. Both institutions were established to prepare and offer at-risk youth or those who did not score satisfactorily in the Primary School Examinations (PSE) another chance at those examinations and a better life. The Atlantic Bank helped the Living Hope Preparatory School to have a building of its own, where it now caters to those seeking a higher education, against the odds. This year, 10 students, ages 13-50, graduated from that institution with the skills needed to enter high school or vocational school, or to seek immediate employment. Amandala congratulates Robin, Whitley and Jorleny, as well as the many other Belizean students who will be enjoying the pomp and circumstance of this graduation season.